A paramilitary group allegedly assassinated a native Colombian leader in the northwest of the country, half a year after he requested protection from the government. The murder of the indigenous leader is the second since President Ivan Duque refused to meet with indigenous leaders from the Cauca province on Tuesday citing security concerns. On Wednesday, one of the organizers of the Cauca protest was assassinated in the village of Algeria. Two days later, it was the turn of Aquileo Mecheche, one of the Embera people’s leaders in Riosucio, Choco. On Friday a native leader who was involved in the Minga’s negotiations was attacked in Bogota. The leader asked for protection after indigenous ended up in the middle of an armed conflict between AGC paramilitaries and ELN guerrillas in November. and the leaders in and around Riosucio began receiving death threats. According to Semana, an anonymous source from Riosucio said that AGC paramilitaries ultimately assassinated the Embera leader almost half a year after he and his brother formally requested protection. According to national indigenous organization ONIC, the 52-year-old Mecheche was shot in the face three times and left behind his wife and eight children. 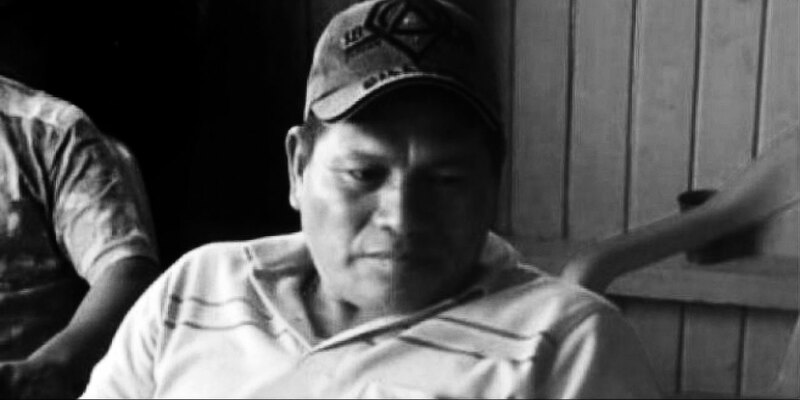 Mecheche was taken from his home and assassinated across the street from [local indigenous council] Camizba. 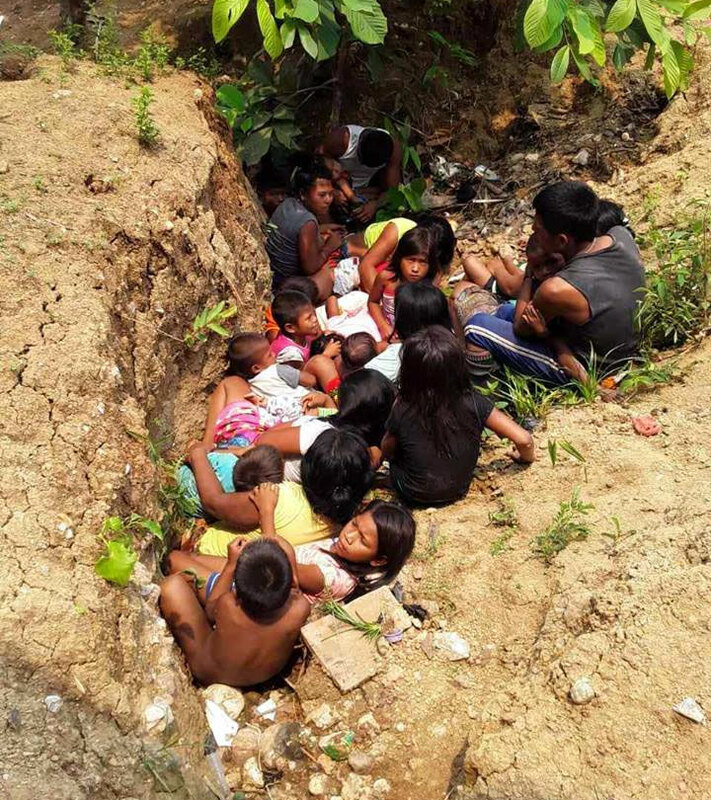 Embera children hiding in a ditch to avoid getting shot. According to the locals, the guerrillas and paramilitaries have surrounded their hamlets with minefields, which is impeding some 5,000 people from three Embera communities to work their fields or access healthcare. The killed leader was one of the leaders who led hundreds of his fellow tribesmen to walk to Bogota in November in a bid to convince the government to protect the population from the ongoing combat between illegal armed groups and the threats posed against the locals. But when Mecheche and his community arrived at the capital, police prohibited them from entering the city until concerned residents from the capital found out. The lack of access to healthcare and food cost several infants and at least one other leader their lives already, the Embera leaders said Last month. Defense Minister Guillermo Botero refused to confirm the deaths, but was embarrassed after the community published images of the children’s funerals to prove their leaders weren’t lying. Other images of children hiding in ditches to avoid getting caught in the crossfire further showed how serious the security situation in northern Choco has been. Locals mourn the death of an infant who died in Carmen del Darien last month. 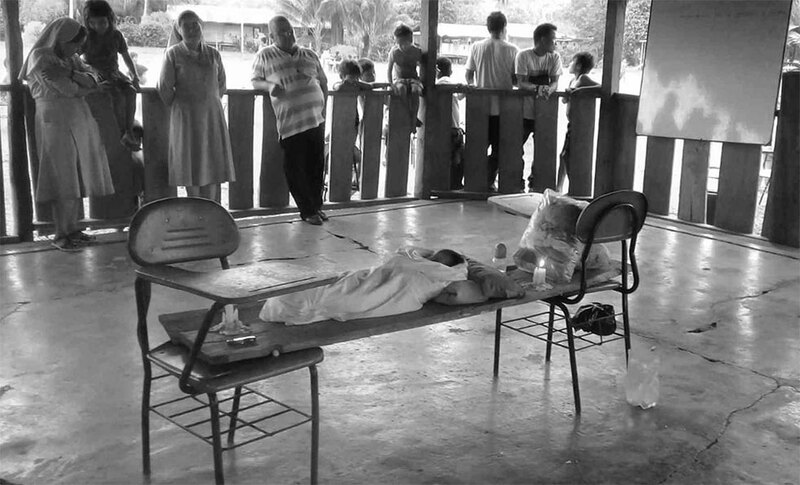 In the municipality of Bagado, another Embera leader, Abelardo Rivera, died due to the absence of healthcare… With Abelardo, there are more than 10 native Colombians reported to have died this year due to the lack of healthcare, largely because of the confinement to which they are subjected by the armed conflict in their territory. The leader’s remains were “returned to Mother Earth” by his community on Sunday according to the people’s tradition. The government failure to grant the indigenous’ public services and provide security is historical. The assassination of their leader is not just a blow to the Embera people in northwest Colombia, but also to ONIC, which has been trying to persuade the government to curb what they consider an extermination of indigenous peoples. 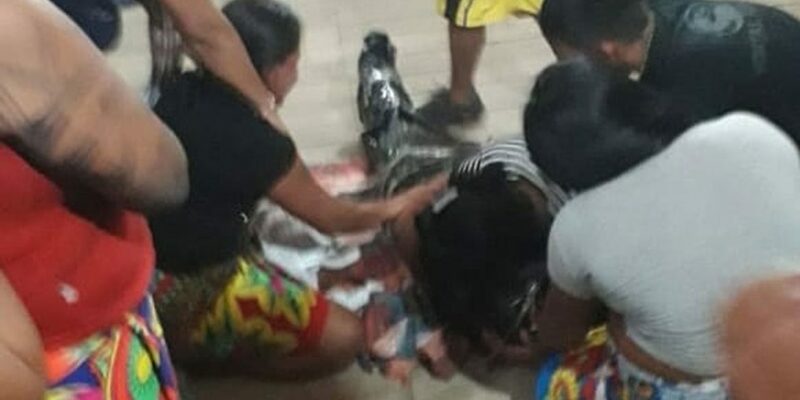 Meanwhile, the Embera people in the north of Choco are subjected to terror, confined to their reserves, mourning the death of yet another one of their leaders, and without any indications the government may take action.